You may have heard the rumours that something entirely different, aromatically original and uniquely sensorial will arrive in Singapore this November. Artitute caught up with the Edible Art Movement– or EAM as they call themselves – at their studio. Artitute: Hello to the members of Edible Art Movement (EAM) – we have heard a lot about you, but please tell us more about what you do? EAM: Hello and welcome into the fold of our secret studio den! 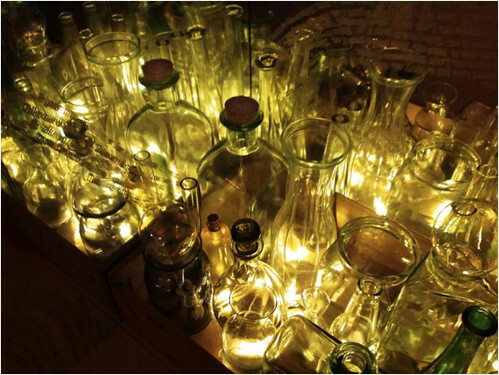 We create participatory installations, experiences and events designed to stimulate all five senses. I guess you could say we are an art movement with an ironic twist, our overarching philosophy is summed up in our motto: “We Art what we Eat”. We worked in London and Europe for a long time, but have had members based here for a while, and we are very excited to therefore be creating work in Singapore and Southeast Asia. Artitute: It’s great to have you here! Thank you for inviting us to your secret den… it looks like a hive of activity. So, how do you work as a movement or collective, and what are you up to right now? EAM: We are currently preparing for our upcoming event Cirque du Scent (which will be part of the Affordable Art Fair this November), whilst feasting on crumpets and kaya. At EAM we work as a core collective of artists, creatives and experience mixologists, and also invite new guest artists collaborate during each event. Artitute: So it’s not artisan sushi or pretty food then? EAM: Well… it has to be said we can’t resist a good mouthful of sushi. But no, our work is much less obvious than that. We don’t create in a kitchen, we are based in a studio. We work on conceptual themes and take food as our starting point. That way we are producing really skillful, high-end art experiences, but also able to have a bit of fun – we don’t really like to take life too seriously you see! Food is playful, and it connects us to our cultures. We like to subvert conventional ideas of what food and art should be. Artitute: With a rich history and a catalogue of exciting events in London, EAM will hold it’s Asia launch in Singapore, and has been invited by the Affordable Art Fair to stage a pop-up right in the middle of the fair. Tell us more about Cirque du Scent. EAM: Our scent-sational Singapore launch will be an interactive, aromatic, art installation. We are honoured that AAF has sponsored it, giving us the opportunity to create something wondrous in the middle of their famous art fair. Cirque du Scent will be rather immersive. We won’t be a typical white-wall space…actually the walls are not white at all…and for us the event is not about selling, it’s about our guests having an experience. Artitute: Well it certainly has us on tenterhooks! It is all about fragrance you say? What can we expect? EAM: The installation will be an archive of the aromas which inspired great artists throughout history, from Da Vinchi’s Last Supper to Manet’s Le Dejeuner Sur l’Herbe, to Dali’s Lobster Telephone. Over the centuries, the Edible Art Movement has captured, bottled and labeled these olfactory inspirations, so that future generations of artists may be similarly inspired. Artitute: There is often an interactive nature to your events. Will Cirque du Scent involve the visitors? EAM: Yes indeed! Although we are not too demanding (we understand many of the visitors may have had a lot of wine by time they reach us…) Our events are curated experiences. Cirque du Scent invites you to use your sense of smell and your imagination, and, we wont give away how, but eventually everyone will add their own input to the artwork. Meanwhile, watch for pop-up EAM performers throughout the fair. Artitute: Would you call it performance art then? EAM: Not really… It’s more immersive installation. But there is a twist of the theatrical, a large dash of spectacle, and a little participation from each of our visitors. However, sometimes we do invite performance artists to collaborate with us. In this case we have worked with a local choreographer, Soren Niewelt, to bring some dance-movement elements, and we will have performance artist Syv Bruzeau joining us at specific times too. Artitute: So who are the collaborators for Cirque du Scent? EAM: As well as our EAM artists we have some marvellous guest artists! Eugene Soh (aka that Dude from SG) perfectly unites our inspirations from art history such as ‘The last supper’ with our love for local food culture in his work ‘The last Kopitam’. We have also invited three ceramic artists to work on a special project, we spotted them lurking near the dragon kilns – Michelle Lim, Steven Low, and Tok Yu Xiang. Installation artist Kenneth Lee will be bringing the space to life with his light particles, and we are also working with a wonderful furniture designer Jing Yi and a talented illustrator Kalo Chu. It’s very cross-discipline! We also have our behind-the-scenes team who are making it all happen. Artitute: And where will we have seen you before? EAM: We are well known in the UK. We have most recently worked on events involving and supported by organisations such as the Tate Modern Gallery, National Trust (UK Heritage Board), the Serpentine Gallery, Fortnum and Mason, The Other Art Fair and the Fabelist Journal. Artitute: So now you are in Singapore – why here and now? EAM: It’s only natural that EAM makes an Asia debut in the newest and most successful 21st century city in the region. Singapore is a place where a mixing bowl of cultures, people and trading routes converge. Its very much in the spirit of the old world map and East-meets-West with the Silk Road. Artitute: We are intrigued by your backstory, your website says that your roots can be traced to the 1920s? EAM: Well, the Edible Art Movement is the younger, brasher sibling of the Bloomsbury Group. It is believed to have been founded in the early 1920s by a group of experimental artists, intellectuals, poets and philosophers drawn together by a shared passion for food and art. The current day members continued these traditions, and have established a more public persona and a theatrical twist. 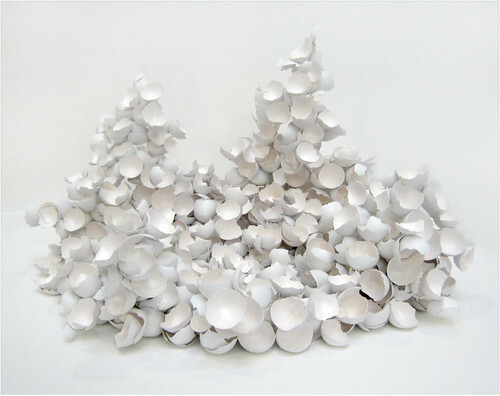 Artitute: This is an exciting photo of an eggshell sculpture we spot on the wall – one of yours? EAM: Actually it’s not for this event, but it is by one of our talented guest artists Jana Emburey. Her All is One sculpture is made from eggshells, and Jana says the eggshells represent little pockets of time, now empty carriers, environments where life of some sort developed and eventually disappeared. Artitute: And lastly… What’s next? 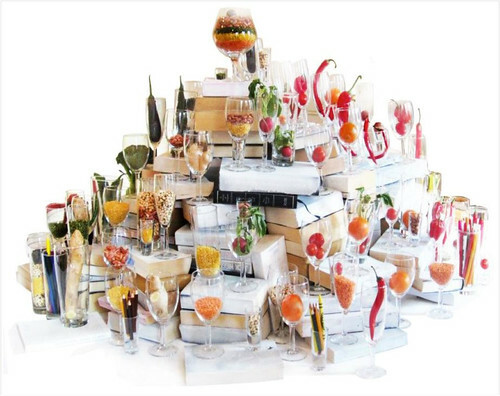 Check out Edible Art Movement at Cirque du Scent, during the Affordable Art Fair from 21-24th November 2013. Guest EAM Artists & Performers for Cirque du Scent: Michelle Lim, Dude.sg (Eugene Soh), Kenneth Lee, Kalo Chu, Jing Yi, Tok Yu Xiang, Steven Low Thia Kwang, Nicola Anthony, Syv Bruzeau, Aishah Jorgensen. Online magazine that promotes and markets Southeast Asia’s established and emerging visual artists and it’s art scenes. And a stepping stone for young aspiring visual artists to showcase their works to the world.